DraugiemGroup is the parent company of Draugiem.lv – Latvia’s most popular social network and the only one in Europe not surpassed by Facebook. Since their start in 2004, the company has grown and expanded beyond its social roots and leveraged its understanding of Latvian culture to launch a host of other Latvian-specific projects. Their headquarters is located in Riga, the capital of Latvia, and has a number of wonderful features that would make any company drool. 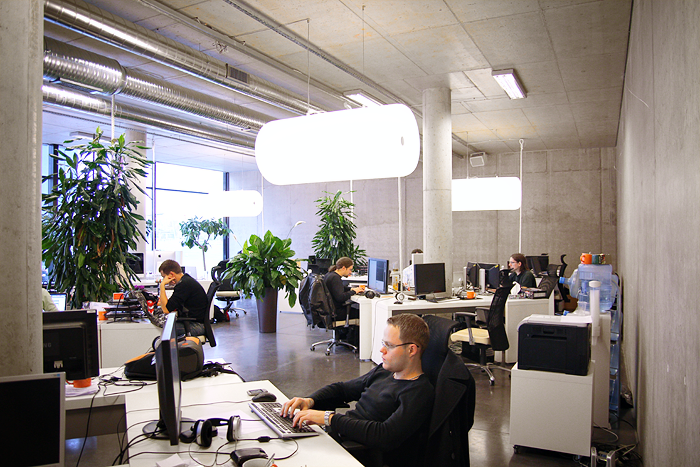 Employees are stationed in groups of four throughout the open-plan layout and they enjoy a lot of natural light courtesy of the building’s floor-to-ceiling windows. 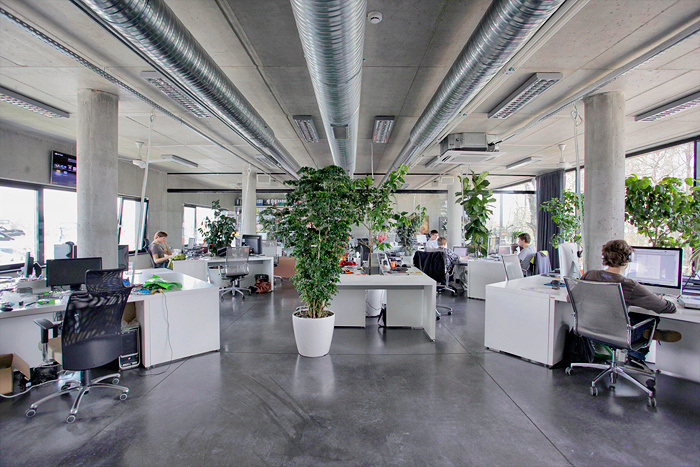 The main work area – though mainly grey – is accented and livened with different plants and trees. Some of which produce fruit. There are also has a number number of side rooms that are used as break-out spaces or collaboration zones. Instead of a traditional secretary, DraugiemGroup has an innovative touchscreen eSecretary system allows visitors to alert employees of their arrival via sms. One hard-to-miss element is the rooftop deck that is covered with astroturf and a variety of lounge furniture. A welcome and jealousy-inducing addition.